We looked at the top 13 Microwaves and dug through the reviews from 46 of the most popular review sites including New York Times Wirecutter, Top Ten Reviews, Tech Gear Lab, Cookwared, BestReviews, Consumer Reports and more. The result is a ranking of the best Microwaves. Our experts reviewed the top 13 Microwaves and also dug through the reviews from 46 of the most popular review sites including New York Times Wirecutter, Top Ten Reviews, Tech Gear Lab, Cookwared, BestReviews, Consumer Reports and more. The result is a ranking of the best of the best Microwaves. In addition to offering controls that are extremely easy to use and producing even heating results, the Toshiba EM925A5A-SS tops our list when it comes to affordability. While pricier options offer more power and space capacity, it's still a great buy for consumers who are watching their budgets. DWYM Kitchen Experts plus New York Times Wirecutter, Top Ten Reviews, Tech Gear Lab, Cookwared. Along with user reviews from Amazon.
" 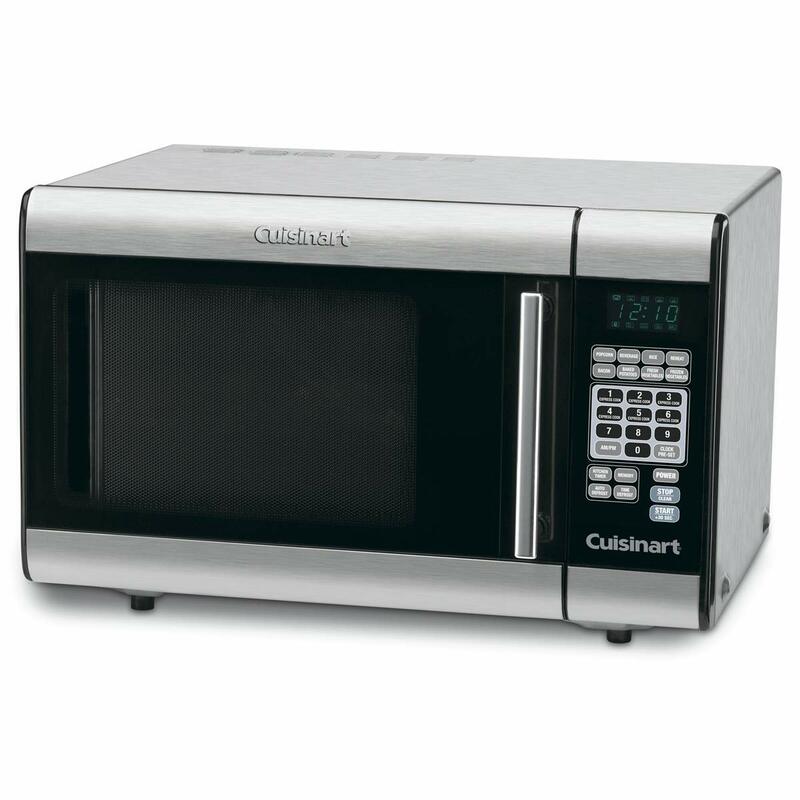 This 0.9-cubic-foot microwave is a great size for most home kitchens, and it delivered impressively consistent cooking results in our tests." "Lackluster warranty coverage means you are sort of on your own with this one." From its self-adjusting heating technology to its solid build in a sleek, stainless steel finish, the Breville Quick Touch has a lot to offer for the serious cook. However, the impressive features and looks come at a premium price. DWYM Kitchen Experts plus BestReviews, Tech Gear Lab, Gadget Review, Good Housekeeping, ratingle. Along with user reviews from Amazon and Best Buy.
" Though the price is slightly higher than other models, we love the innovative cooking technology and unique features that make it a favorite among cooking enthusiasts." "The Breville was a sturdy model and was the hardest to slide on a smooth countertop." Not only does the Samsung 1.1 cu. ft. model deliver powerful 1,000-watt output, but it also features a stainless steel exterior and ceramic interior that make it easy to clean, outside and inside. DWYM Kitchen Experts plus ratingle, Taber’s Best Reviews. Along with user reviews from Best Buy, Amazon and Walmart.
" The exterior of this microwave is stainless steel, which only requires occasional cleaning with a clean rag. 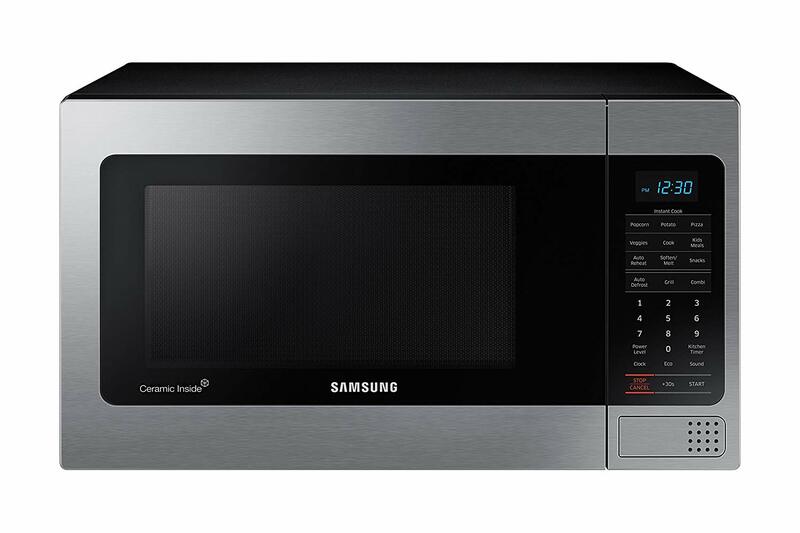 The interior of the Samsung microwave is ceramic, which is not only very easy to wipe clean, but is more scratch-resistant than stainless..."
"The heating element is positioned on the top, therefore making foods like toast is not recommended (unless you open the door and flip the toast when it’s done on one side)." Reliable power, practical interior space and good looks —the Toshiba EM131A5C-BS has it all. At 1,100 watts of power, it cooks fast and evenly, while the 1.2 cu. ft. capacity fits most consumers' needs. The modern, stainless steel finish looks great too! DWYM Kitchen Experts plus New York Times Wirecutter, Best Reviews Guide. Along with user reviews from Amazon, Home Depot and Walmart.
" This medium-size 1.2-cubic-foot microwave has more controls for specific cooking tasks, but they’re not that intuitive to operate." We identified the majority of the microwaves available to purchase. 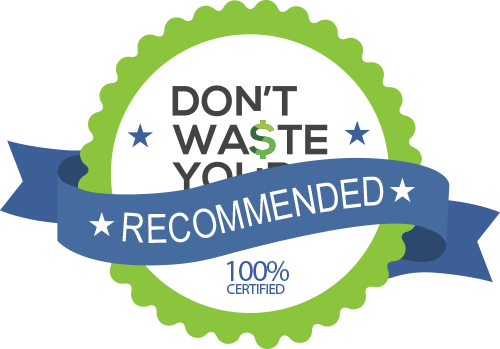 Reviews from our DWYM category experts and analysis of some of the most respected sources including: New York Times Wirecutter, Top Ten Reviews, Tech Gear Lab, Cookwared, BestReviews. We also incorporate user reviews from the leading retailers including Amazon, Home Depot, Walmart, Best Buy. There are units with more capacity and more cooking power, but the Toshiba EM925A5A-BS did just fine on most of our tests. This model is one of the absolute easiest and most convenient to use products that we have tested to date and does a good job of heating up your food evenly. Lackluster warranty coverage means you are sort of on your own with this one. Being only 900 watts, it isn't the fastest microwave around when it comes to heating up your food and didn't impress us much with its defrosting skills. In today’s busy, fast-paced world, most people couldn’t imagine living without a microwave. The ability to pop your food in the appliance, push a few buttons and have snacks or meals ready to eat in a few minutes is a great convenience. In fact, microwaves have changed the way many people cook and eat, allowing for fast meal prep without the need for a lot of pots and pans or long periods of time standing over a stovetop. They also provide a convenient way to heat up leftovers, eliminating the need to choose between eating cold food or turning on an oven. Another handy characteristic of microwaves is that they don’t take up an extensive amount of space. 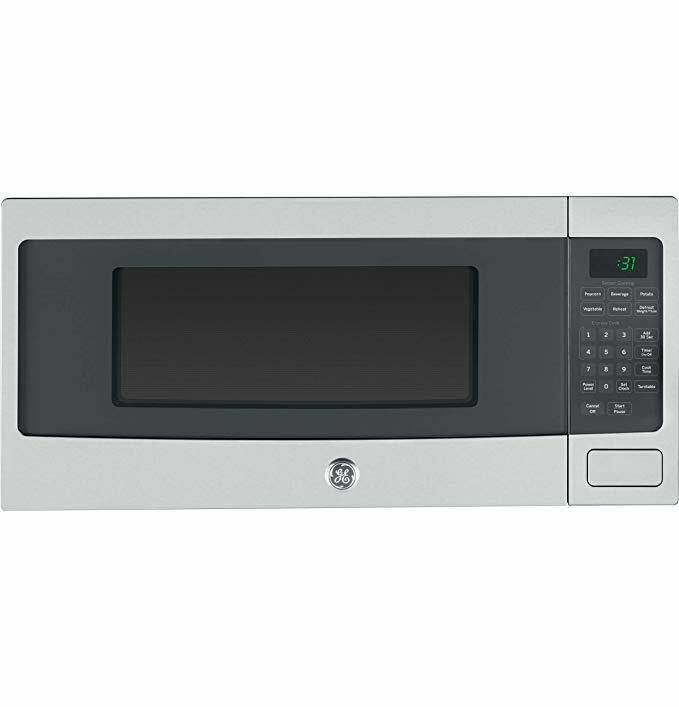 While some models fit over a range and require certain space specifications and hardware, countertop microwaves do just what the descriptive name implies — they sit right on your countertop, and are ready to start cooking by simply plugging in the power cord and selecting the appropriate time, temperature and function buttons. 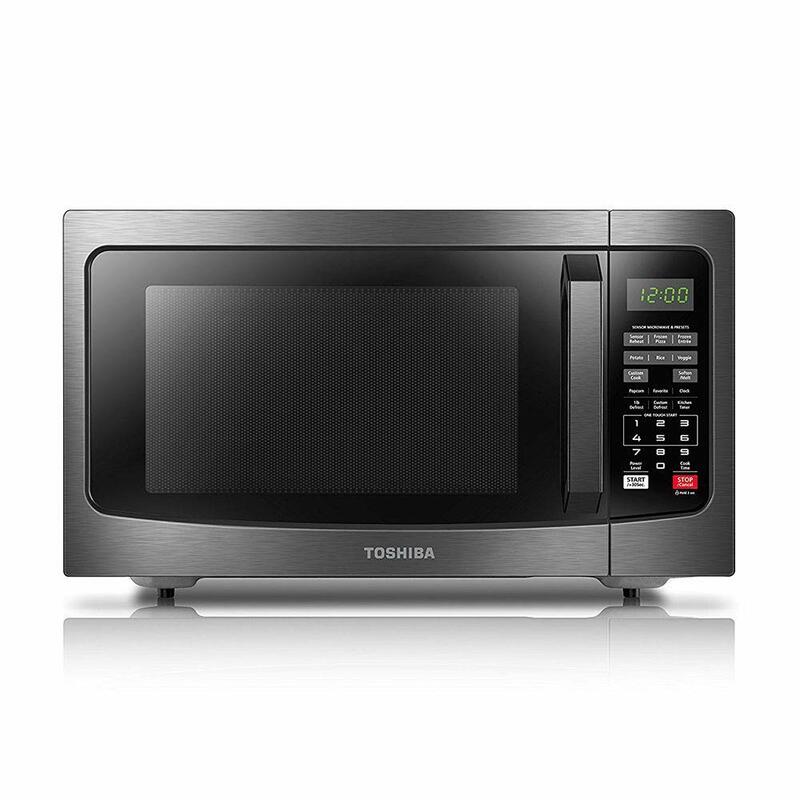 Models like the Toshiba EM925A5A-SS microwave, for example, offer a practical footprint with its 0.9-cubic-foot capacity, but also features straightforward controls that are simple to use. Have you ever wondered how microwaves cook food so quickly? It’s the electromagnetic radiation within these handy small appliances that heat the molecules within liquids and foods, warming them quickly and effectively. A microwave’s power is measured in its wattage and typically ranges from around 600 to 1,200 watts. The higher the wattage, the faster the model cooks. The Toshiba EM131A5C-BS delivers 1,100 watts of power, earning praise for the fast, even results it produces. 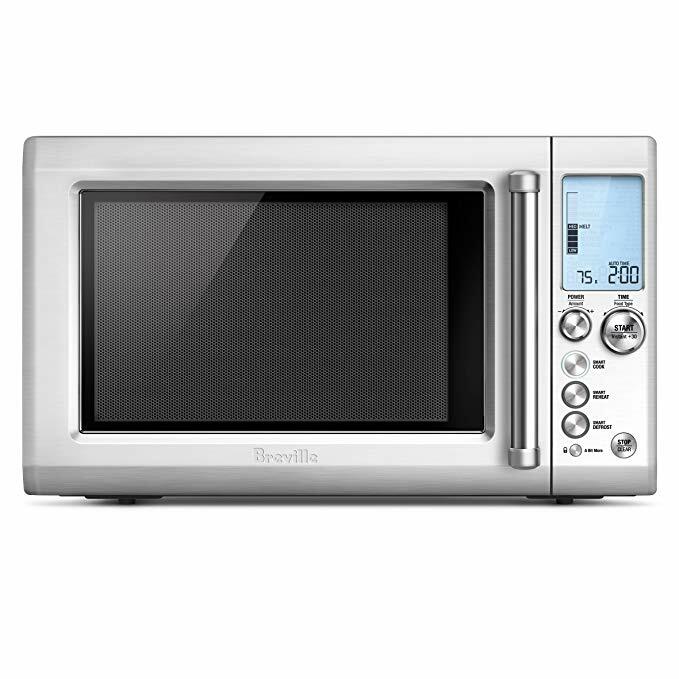 Some microwaves also have temperature control functions so you can reduce or increase the power as needed. Countertop microwaves have knobs or digital keypads that allow you to control the amount of time needed to reheat or cook food. Most modern models also feature numerous preset buttons for one-touch cooking, like the Samsung 1.1 cubic foot model that offers 12 total presets, including pizza, potato and popcorn, to name a few. These one-touch controls have programmed times that are designed to precisely heat specific types of food, taking the guesswork out of preparing numerous favorites. For example, all you have to do is tap the pizza button on a microwave to warm up a slice, and it does the work for you! A microwave’s ability to cook fast and further cut down on prep time with one-touch controls bring convenience to the kitchen, but some models take time-saving heating to the next level. The Breville Quick Touch is a microwave that offers state-of-the-art cooking technology, measuring the moisture levels released from food and automatically adjusting cook times accordingly. Fast and smart technology equals a win-win when it comes to cooking and reheating your favorite snacks, tasty leftovers and mealtime recipes. Microwaves have other features that making cooking in them a breeze. Digital displays make it easy to read cook times and settings and can even be programmed with the time when not in use. Turntables rotate food while cooking so you don’t have to, and buzzers alert you when your food is ready. Functions like melt and defrost are useful for preparing ingredients for recipes or de-thawing frozen foods. Microwaves that have quick-warm buttons allow you to heat food in 30-second increments, allowing you to gradually heat food to the perfect temperature. 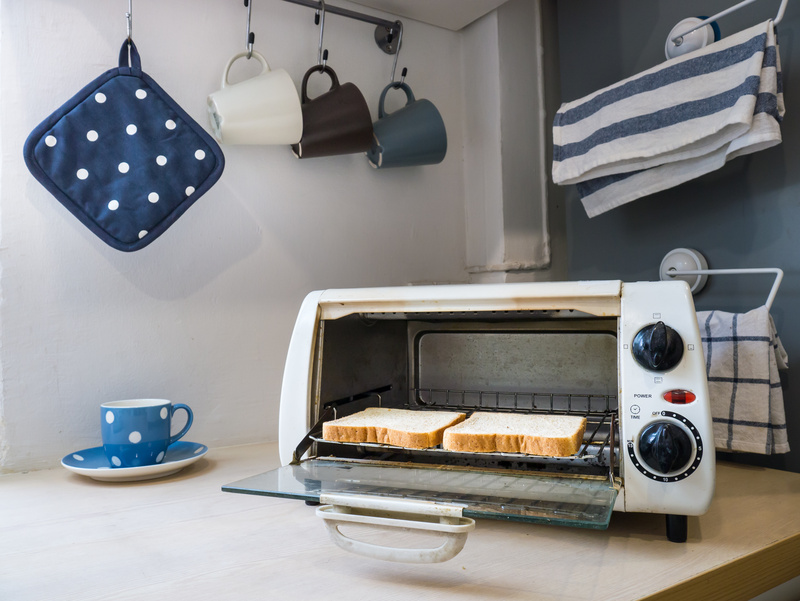 As you shop for a new countertop microwave, don’t forget aesthetic appeal. Just like other small and major kitchen appliances, they are available in different colors and finishes to fit any home’s decor. The radiation technology that emerged during World War II is the foundation of the invention of the first microwave oven. But the ability to convert microwave energy into an appliance that could heat food was actually discovered by accident by self-taught engineer Percy LeBaron Spencer. While working on microwave radiation vacuum tubes, also called magnetrons, candy in his pocket inadvertently melted. This unexpected turn of events gave Percy the idea to attempt to heat numerous types of foods with magnetrons, all with notable results. He constructed a metal box to contain the microwave energy and applied for a patent for his invention in 1945. The rest is history. The earliest microwaves were used in restaurants in 1947, and the very first consumer model was available in 1954. The technology has come a long way since then — the first models were huge and cost more than $1,000. Today, microwaves are available in a range of sizes and prices, including affordable models to fit most budgets. Today, it’s estimated that 96 percent of homes in the United States have microwaves. You need to consider how much counter space you have to work with before choosing a countertop microwave. Models like the Toshiba EM131A5C-BS take up several extra inches of width and depth space than a smaller unit like the Toshiba EM925A5A-SS and are better suited for smaller, shorter counters. On the other hand, if space is not a concern, a larger countertop microwave will provide ample space and power for the majority of your cooking needs. Keep in mind that microwaves that deliver more wattage power cook faster than lower-wattage options, but also tend to cost a bit more. The Toshiba EM131A5C-BS zaps food quickly with its 1,100-watt output, but costs a bit more than the brand’s EM925A5A-SS model that puts out 900 watts of power. What color are the appliances that you already have in your kitchen? For an appealing look that pairs nicely with your refrigerator, oven and dishwasher, choose a countertop microwave with a matching finish. Do you have a limited budget? Just because a microwave doesn’t come with a high price tag doesn’t mean it won’t meet your expectations. Although the Toshiba EM925A5A0-SS comes at a reasonable price point, it has a reputation for being well-made, easy to use and for heating foods evenly and effectively. The type of cooking you plan to do using your microwave is one factor you need to consider before deciding on the model and features that will work best for you. For example, if you like to prepare full meals that include meat, fish and poultry, a microwave that has an interior space of at least 1 cubic foot capacity and 900 watts of power or more is a good choice. But if you primarily use your microwave for the convenience factor of heating foods quickly, look for a model with plenty of preset functions. 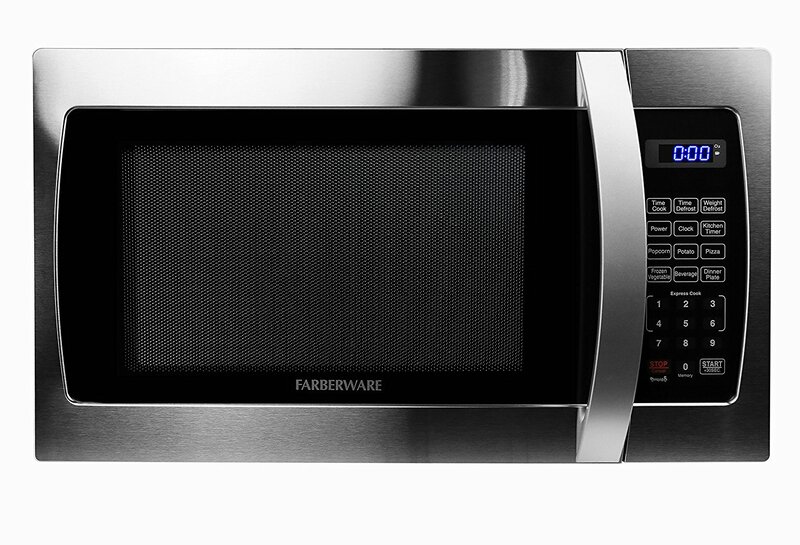 For the Microwave category, we analyzed 46 of the most popular reviews including reviews from New York Times Wirecutter, Top Ten Reviews, Tech Gear Lab, Cookwared, BestReviews, Consumer Reports and more. The result is a ranking of the best Microwaves.